Who doesn’t love dancing exercise!? There is no better way to lose inches of your waist laying down the moves shaking your money make. Smells like figurerobics! Dancing exercise is one of the best ways to lose weight there is without deliberate exercise. First of all, where else are you going to get the cardio you need to burn fat. Dance exercise, of course! Dancing as exercise helps you get more flexible, build strength and endurance, and making you just feel good. Personally, I really like to Curvy Dance, do Figurerobics, and hip circles but that doesn't mean you have to too. Just remember that forgetting to stretch one mistake you don't want to make in dance exercise. Amongst the vast resources there are for losing weight online dance exercise videos come on top. When better way for burning fat than dancing for exercise without the attachments of having to the gym. Don't get me wrong, hitting the gym makes you feel like you are hitting it hard… but maybe that just isn't your thing. When it comes to burning fat what comes to mind is… you've got it! - Sweet. Sweet. Sweaty Cardio. How do you burn fat with cardio? After 20-30 minutes of uninterrupted cardio exercise your body starts to metabolize fats for energy as it reaches what is called the fat burning zone. In the fat burning zone, your body is said to be burning fat at the highest efficiency possible with the exception of the thermogenic process cold-induced thermogenesis that happens when brown fat cells activate to instantly metabolize white fat cells into energy that the body can then quickly use to heat the body when you are cold. 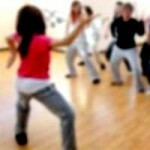 There are many benefits you get from dancing exercise that make losing weight that much more enjoyable in addition to the miraculous effect it has on your body. Without a doubt dancing helps you build flexibility. If you are not able to touch your toes at the moment it may be just the time to add dancing exercise to your routine. Dancing make you a stronger person. Just because you aren't hitting it hard in the weight room blowing up more steam than absolutely necessary, doesn't mean you can build stronger muscles and even increase lean muscle mass while you are at it. Don't count out dancing exercise just yet. Well, it happened to me but after going out more often the pain just went away. If you canmanage to too stay out all night dancing without feeling like a crunky hobo, then you must have dance exercise hammered down just right. Yes, feel good. I mean feel real good! Indeliberate exercise such as dancing exercises to lose weight for the most part is a social exercise allowing you to build self-confidence and relieve stress. Not feeling that you have to and instead feeling you want to exercise is exactly how you start feeling good. Horimi Kachiki's Curvy Body Dance Exercise Curvy Dancing is a popular dance exercise routine in Japan. Hiromi, the creator of "The Curvy Dance" may be a 50 year old fit Japanese woman but doesn't look it at all. Although it may sound like a battology of the mystery behind why Japanese women don't get old or fat, but as it turns doing curvy dance is not limited to the ladies. Curvy dancing is used by Arata Fujiwara, a Japanese-marathon runner who participated in the 2012 Olympics in London. Benefits of doing the curvy dance include helping you reshape your figure, slim your face, and relive stress. Figurerobics is dance aerobics for your figure created by Jung Dayeon. Jung Dayeon or Momu-chan as she is known in Japan is an Asian fitness celebrity that has a story to tell. The touching weight loss success story of Jung Dayeon is no less than a phenomenon, or what I might call a phenomenal mama! YES, you can lose 100 pounds in your 40s with 2 mouths to feed getting your figure back like Momu-chan. Figurerobics can help lift your bust and reshape your hips. Hip circles are a pelvic area exercise that you can use to slim down your waist and build strong hips. As know slimming down your waist is easier said than done. It doesn't matter if you are one of those people who put on visceral fat like no other with an apple shaped body; hip circles are effective and just as fun as dancing. Having strong hips is the fitness contemporary of anti-aging. Strengthen your hips and greatly reduce the chances you have to suffer from pelvic distortions at an early age. Forgetting exercise is supposed to be fun is where any weight loss routine starts to turn sour. Make exercise a motive. You can do this by simply challenging yourself or inviting friends to workout. That's right, keep it social! Not stretching prior to exercise is burning the book of exercise tips to prevent injury while trying to lose weight. Who takes time to stretch before going dancing? Very very good point you have there... No one does! But don't let that stop you. Failing to warm up is another big no-no that very little people seem to get right until it's already too late. Start off slow and gradually tempo up to warm up. Well, I hope you are excited about dancing exercise as me. Let me know how it goes. (That means logging onto Facebook, Twitter, or Google+) Please don't hesitate to show some love. I would really love that! What still does aerobics? I mean when you have Zumba dance exercise, there should be no reason you can’t slim down, enjoy yourself exercise, and feel better about your body. Even for people with limited time to exercise, not being able to join the gym and sign up for classes, there are always Zumba DVDs. With Zumba it’s all in. Figurerobics? How Can I Lose 100 Pounds Like Momu-Chan? 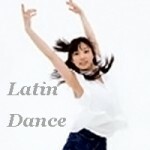 The Momu-chan diet by Jung Da Yeon changes the face of dance exercise with figurerobics. The first dance exercise video you by to lose 100 pounds.